Today we are going to tackle another terminology issue: Italic vs. Oblique. 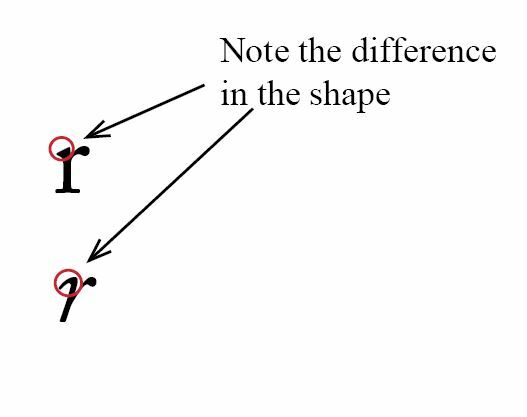 Italic text is text which has been deliberately designed on an angle. As such, the italic text can appear quite different from the “normal” text with which it is grouped. 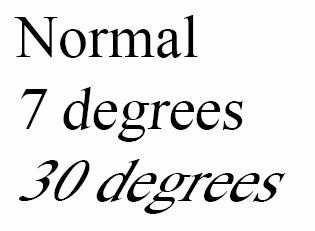 Oblique text is which has taken the “normal” text and merely tilted it. We can see the difference in with Adobe Caslon Pro vs Tekton Pro. 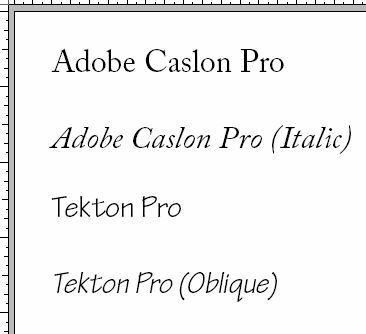 Notice how the letters in Adobe Calson Pro are formed completely differently. The “r” is an easy one to spot the difference. With Tekton Pro, it is simple a tilt of the normal letters rather than a complete redesign. When using software such as Adobe InDesign, it is even possible to create your own oblique version of a typeface merely by selecting the regular type and manually skewing it.